The prices below are for bookings made via third parties - Booking.com Expedia and the like. Alternatively, use the secure online booking facility above, or call us on +44 (0)1388 762 473, and we'll discount the rates by up to £7/night. 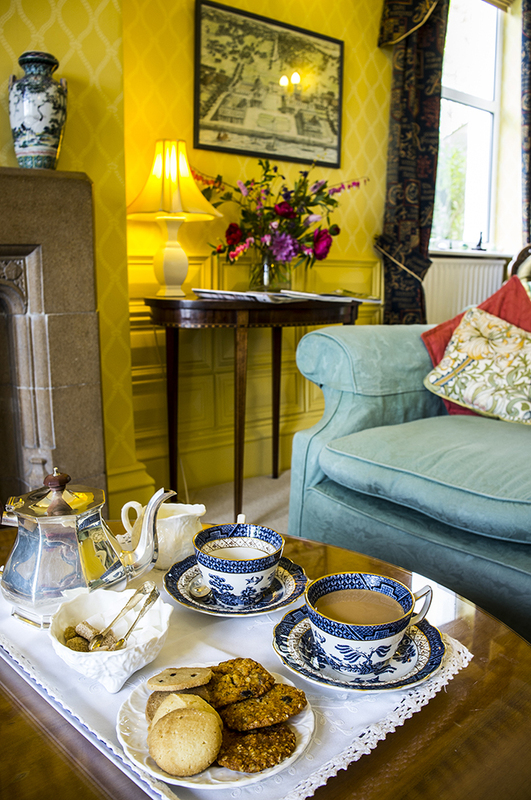 All prices include a SPLENDID breakfast, afternoon tea/coffee on arrival, and use of the sitting room and garden. Prices may change without notice, and are confirmed at time of booking. Please be prepared to pay a deposit, equivalent to one night's stay, and to settle the balance of your account before leaving Dowfold House. We can accept credit or debit cards on-site (or by telephone), or when you are here by a cheque drawn on a UK bank (made payable to “Dowfold House” please), or cash. We are a small establishment, with just three bedrooms, able to accommodate up to six people per night. This means that cancellations can have a big impact, both on us and on those whom we turn away in favour of someone who has already booked, and who then cancels at the last minute. We don’t think kind thoughts about such people! We do, however, appreciate that unforeseen circumstances can intervene, and we try to be as sympathetic as possible in such cases. For bookings made via booking.com, the guest will be charged a non-refundable 30% of the total price on booking, and the total price if they cancel within 72 hours of the start date (at 1700 hours) of the reservation. Other third party Online Travel Agents’ terms (e.g. : Expedia, LateRooms, LastMinute.com) may vary – please check when you book. For cancellations made within 72 hours of the start date of bookings made directly with us, or via our website, we will expect a cancellation fee of one night’s booking fee per room, or the deposit paid, whichever is the greater. Where possible and reasonable, however, we will always do our best to accommodate our guests’ changing needs. Please note that we askyou to check in at 5pm or later, unless otherwise arranged. Once you're checked in, you can of course come and go as you please. It would help if, on the day of departure, you can clear your room by 11:00. You are welcome to continue to use the sitting room and garden. Any data you have supplied us with will be used for purposes of regulatory compliance, to process your booking(s) with us and to keep you informed of anything special going on here. No part of any personal details you have given us will be shared with any third party. If you would prefer NOT to receive emails or mailings from us, apart from in direct connection with your booking, just say, and the nuisance will cease.